Awarded 2011 National Blue Ribbon School of Excellence by the US Department of Education. Headmaster an online school resource tool used to maintain communication between parents and teacher on academic performance. Student Council is a school government position. Students must be elected by the Middle School to the positions of Classroom Representative, President, Vice-President, Secretary and Treasurer. The job of Student Council is to promote school unity and spirit through activities and service projects. Last year we sponsored dances, a pep rally, Mardi Gras Carnival, a 3 on 3 basketball tournament and the Thanksgiving food drive. It is an opportunity for students to learn and grow in leadership. The National Junior Honor Society is a teacher selected group. Selection into the NJHS is based on five characteristics that the national organization has determined. 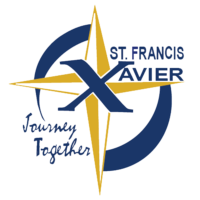 First we look at scholarship; a student must have a 3.5 grade point average during their middle school time at St. Francis (we do not look at students until after the first quarter of the 7th grade). If a student has a 3.5 or higher they are asked to submit an information form telling us other activities they are involved in. This information along with what the faculty sees at school, in the classrooms, and in other locations is considered. The students are being looked at for Service, Citizenship, Character, and Leadership. Five selected members of the faculty vote on the students and the students need a majority vote to be accepted. During the school year the NJHS meets about once a month. We work mainly on service projects like The Race for Grace, raising money for various Catholic Charities, and planning activities for the student body like career day. FTA Club is available for all middle school students. The students that select this club work with the classroom teachers the entire school year. They usually meet with their teacher once or twice a month, depending on their schedule. The club members sometimes work with other students, put up bulletin boards, and help with classroom activities. The FTA members organize the Field Day activities for the kindergartners at the end of the school year. There are usually only about 4 or 5 meetings per year. Power of the Pen awakens and strengthens the creative voices of young writers. It is designed for students in grades 7 and 8 who have a talent for creative writing. Students will compete in a series of interscholastic writing tournaments which challenge them to think and write under pressure. The best writers will be rewarded at District, Regional and State levels of interscholastic competition. Math Club provides students the opportunity to enjoy time with their peers as they are challenged to improve their math skills. Students will also be preparing to enter the National Math Counts Competition which holds its regional meet in February. This year, we will be meeting every Friday after school until 4:15 pm starting at the end of September.